As Christians, we are called to love our neighbors as ourselves. Many people think of this in the context of serving others, offering compassion and forgiveness, or helping someone with material needs. Yes, loving your neighbor as yourself can mean bringing someone a home-cooked meal when they are sick, turning the other cheek when a co-worker says something hurtful, or driving 45 minutes to help a friend with a flat tire. But it can also mean being strong when someone else is weak, and being courageous on their behalf. 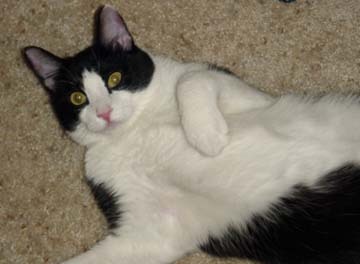 Several years ago, our six-year-old cat Junior suffered a thrombosis on a Tuesday afternoon. He was lying on the stairs howling in pain and confusion, with his back legs completely paralyzed. I happened to be home that day and quickly scooped him up and rushed him to the vet. My husband Craig dropped everything to meet me there. The news was not good: Junior had only a 5-10% chance of recovery, and even if he did recover, he had a 90% chance of throwing another blood clot within the next six months. It was a genetic condition—nothing we could have foreseen and with no real cure—and so we made the difficult decision to put him down. I cried like a child and fell into my husband’s arms. He was a rock, staying calm and offering me a steady flow of love and support for the next several hours as we said our goodbyes to a beloved pet, and then returned home and tried to step back into everyday life. Craig was strong and steadfast for me when I was weak and broken. Months later, he confessed that he was a wreck that day, too—that he wanted to cry and to be held as he grieved, but that someone had to be the strong one. Someone had to step up. What surprised me, however, was when he explained that he had made the decision to be strong long before the event occurred. He had purposed in his mind and his heart to be calm in a time of crisis, regardless of his own feelings and emotions, so that others could trust and rely on him. He chose in advance to put me before himself, and he was ready when I needed his strength. Fast forward to this past week, when I went skydiving for the first time. I have never wanted to skydive—in fact, since Craig and I first married 11 years ago, I have told him repeatedly that I would never in my life jump out of a plane. 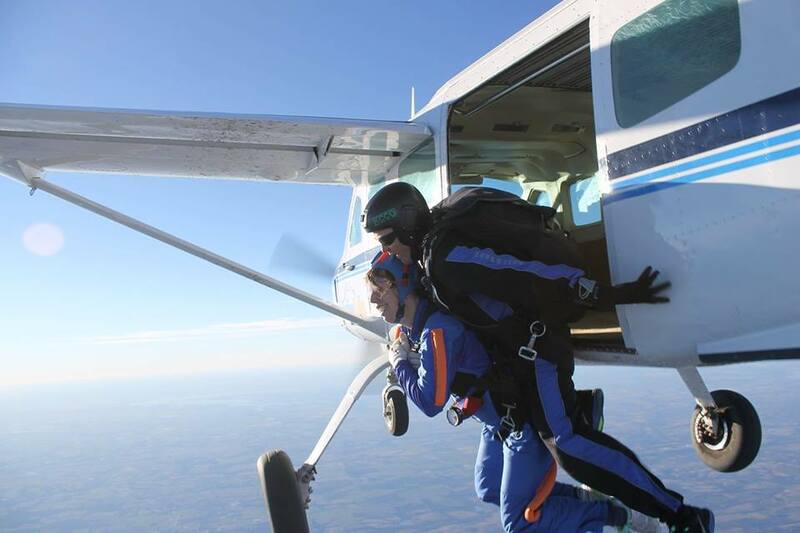 But last week, I went skydiving because I knew that someone else needed my strength. I purposed in my mind and heart to step as far as possible out of my comfort zone—to do something so extreme and confront my own fears and weakness head on—so that when a friend or even a complete stranger felt weak and broken, they would have a living, breathing example of courage and strength. My goal was not to encourage anyone else to skydive. My goal was to demonstrate that you can choose to be bold when you feel broken, that you can choose to move forward even when you feel bound by fear. Whether that fear is related to a relationship or a job loss or an addiction or a disability, it doesn’t matter. What matters is seeing first hand that you can choose to be strong, choose to be brave, and find the strength to overcome your circumstances through faith in Christ Jesus. When I jumped, I didn’t know who would need to see that example or hear that message, but I was sure that it would help someone move forward on the path that God has for them. As children, we rely on our parents, siblings or grandparents to protect and encourage us when we feel frail. As adults, we are often called to be the strong one. We may feel helpless and broken ourselves, but Philippians 4:13 reminds us that our strength comes not from our own efforts or will, but from the Lord. Today, I encourage you to be an encouragement. Set your mind on things above by determining that you will be strong for someone else in a time of need. Reach out to a friend or loved one and edify them with your words and actions. Decide to love your neighbor as yourself by choosing in advance to be their rock. as someone who remembers the day Junior became ill, I so clearly remember Craig being strong that day. How interesting to know that he purposefully chose that course. I also remember the box of surprises kittens he then produced, to the delight of the whole company!